The Three Seas Psychology Group’s mental health services are effective and focus on providing real help to people experiencing mental disorders. Maintaining healthy mental is as important as maintaining your good physical health. It is inextricably linked to physical health and happiness. Almost half of the Australians(45%) aged 16-85 years, at some point in their lives will experience mental illness. The earlier it is recognised and mental help is sought, the greater the likelihood of a better outcome and speedier recovery. If you or someone in a community you know is experiencing any psychological issues, speaking with a professional psychologist of trusted mental health institution or hospital is the best course of action. At Three Seas, we partner with people from all walks of life, working with those who just want to achieve more goals, as well as those who suffer from crippling mental health issues. One of the questions our clients often ask is why some people struggle with mental health, while others seem perfectly fine—even in the face of challenging life circumstances. The truth is that mental illness is not entirely understood, and research into its causes is still in its infancy. Nevertheless, we do know that some factors increase a person’s chances of developing a mental illness. Understanding these risk factors may help you feel less alone if you struggle with the mental disorder. No single gene can cause unhealthy mentality, and even people with a long genetic legacy of mental illness can overcome that legacy with proper treatment. But there is substantial evidence that certain mental illnesses are highly genetic—particularly schizophrenia and depression. If some people in your family have experienced mental disorders, you’re probably vulnerable, too. The fact that mental problem runs in your family doesn’t always mean the illness is genetic. A family history of mental health issues can make you vulnerable even if the mental illness is not carried on a gene. People who grow up in families where mental illness was the norm learn a host of unhealthy coping skills. They may also be exposed to trauma that makes it more difficult for them to master basic developmental tasks, increasing their later odds of developing a mental illness. A history of trauma, including abuse, exposure to neglect, and sexual assault, can fundamentally alter the way your brain manages stress. 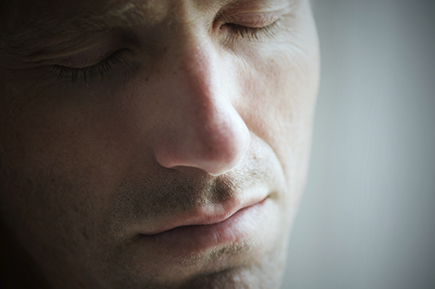 The result can be symptoms of post-traumatic stress disorder, anxiety, and depression. 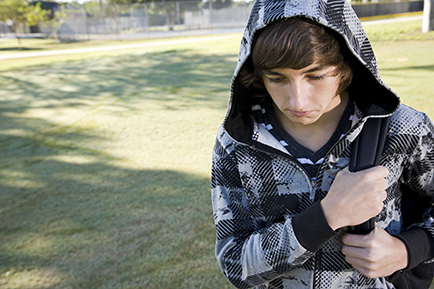 Because trauma can interfere with mastering social skills and basic developmental tasks, trauma during childhood is particularly likely to lead to unhealthy mental in adolescence and adulthood. Your mind and body are not separate entities. What happens in your body fundamentally affects your brain. Not only can health problems change brain function; they can also cause stress that leads to issues such as depression and anxiety. Chronic illnesses, terminal illnesses, and diseases that result in persistent pain are particularly likely to trigger mental health problems. Interestingly, some mental issues may also manifest as physical health concerns. For instance, many people with depression experience unexplained headaches or chronic muscle tension. Getting enough sleep each night. Maintaining close friendships and family relationships. Finding healthy ways to manage stress, such as meditation. Staying physically active by getting some exercise every day. Cultivating positive thoughts and avoiding ruminating on negative experiences. Taking a proactive stance toward your health. Having some risk factors for mental illness can be scary, but mental health concerns are not your fault. At Three Seas, we can help you overcome mental illness no matter how long you’ve struggled or how many risk factors you have. Let us help you chart a path to a happier, more fulfilling existence. Medication designed to ensure your brain operates at peak performance and to correct any brain chemistry imbalances. Therapy to help you master new coping skills, develop healthier ways of thinking, and gain insight into why you struggle with it. Lifestyle changes to maximise your chances of a prolonged and successful recovery. We may recommend exercise, nutritional changes, or even developing a new hobby. We know that life with it can feel daunting, but it doesn’t have to be that way. Let the health professionals at The Three Seas Counselling Centre show you that you really can live well. If you can identify with any of the above, or any other negative emotions, there is no need to struggle alone. Speaking to a trained psychologist like Clinton Batty can help you to understand what you are feeling and help you on the road to recovery. If you’re trapped in a cycle of depression, anxiety, or unhealthy relationships, it’s easy to sweep your emotions under the rug. Indeed, this tendency to ignore your feelings is what lands many people in psychological trouble in the first place! If you think your psychological needs don’t matter, think again. Here are some of the surprising ways your mental can affect your physical well-being. Stress, depression, relationship woes and chronic anxiety can all interfere with your ability to get some quality shut eye. Insomnia isn’t just an inconvenience, though, and research consistently demonstrates that it’s not possible to “make up for” lost sleep. Once the sleep is gone, it’s gone, and it can affect you for days, possibly even weeks. Inadequate sleep interferes with your body’s ability to fight off infections, can lead to chronic muscle tension, and may even make you slower or less attentive. Depression isn’t just the product of changes in brain chemistry; it also changes your brain chemistry on its own. Chronic depression, as well as other issues such as anxiety and stress, can alter your brain chemistry so that mundane everyday tasks become highly challenging. People under stress struggle to learn and remember basic facts, and there’s even some evidence that chronic mental illness can cause permanent brain damage. Think exercise, a healthy diet, and a bit of genetic luck are all you need for a healthy heart, low blood pressure, and good circulation? Think again. Your heart health is directly tied to your mental health. 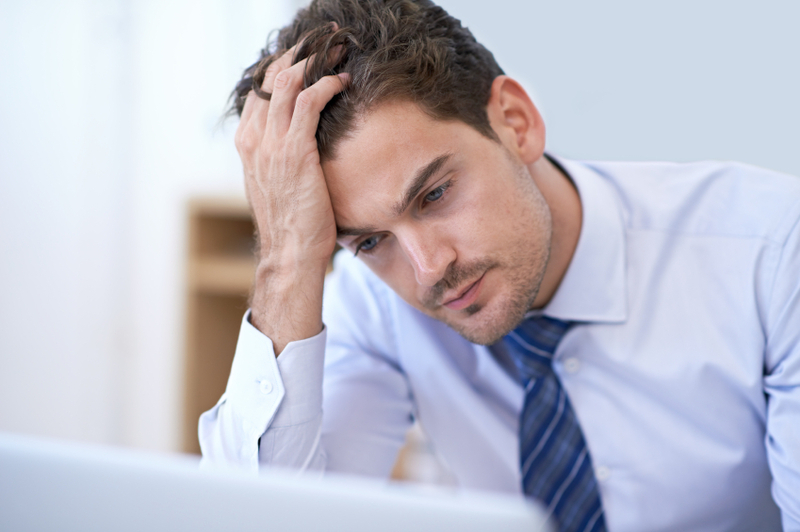 Chronic stress releases a chemical called cortisol that can harm body tissue including your heart. Worse still, it elevates your blood pressure and circulation, stressing your cardiac muscles. While an occasional uptick in heart rate is harmless, the heart damage of chronic stress can contribute to blood clots, strokes, circulatory problems, heart attacks, and a host of other problems, even if you otherwise have no risk factors for cardiovascular disease. When your mind is stressed, your body reacts the only way it knows how by preparing your body to fight, flee, or freeze. Of course, the stress of a looming deadline is entirely different from the fear of a saber-toothed tiger that our ancestors faced. It means that our bodies are simply ill-equipped to handle contemporary stresses, especially those that last for a long time or that don’t involve imminent risks to our life and health. The result? Your body may respond by developing inflamed tissues. Inflammation has been linked to diseases as varied as cancer, depression, and heart disease. Chronic inflammation resulting from stress may also lead to chronic pain. We’ve all felt the sensation of butterflies in the stomach, or perhaps even a quick pang before a big presentation or other scary life events. But for people who struggle with mental health concerns, gastrointestinal problems are often a constant companion. From nausea and bloating to chronic diarrhoea and vomiting, gastrointestinal problems can leave you always worried about your health, and potentially even spur a fear of leaving your house. Many people find that, with the right mental health care, their gastrointestinal problems finally disappear. When you struggle with your emotional health, you may find yourself constantly tensing your muscles, perhaps even without meaning to do so. It can lead to chronic pain conditions such as frequent headaches or low back pain. And once you’re trapped in a cycle of chronic pain, it can be tough to break this cycle. Pain can make exercise challenging, and lack of exercise contributes to pain. You might slouch, continue tensing your muscles, or adopt other strategies to cope with the pain, all of which make your pain worse. And when you’re in pain, it’s tough to maintain sound mental health, further eroding your overall quality of life. How Mental Health Difficulties Affect Children? These are inhibited and over-controlled behaviours. These are mostly displayed as a nervous or anxious temperament. Children internalising are often worried, fearful and/or withdrawn. They may excessively worry and be pessimistic about their situation or future, and their peer relationship may prove difficult and isolate them further. These are under controlled behaviours. These children have a more challenging temperament, often being impulsive or reactive, leading to difﬁculties with attention, aggression or confrontational behaviour. Externalising behaviours in children can cause difﬁculties for friends, family and teachers. These children often suffer from reduced problem-solving skills, attention difﬁculties and sometimes hyperactivity. There are many differences between the treatment in children and adolescents versus that of adults, and a psychologist must be specifically trained to understand and work with this group. When suffering from depression children and adolescents might not understand what they’re feeling nor be able to articulate those feelings. Frequently dismissed as crazy, lazy, or unreasonable, those who face mental issues may feel stigmatised or discriminated against. But it is no different from physical illness. No one can cause themselves to have it, and it’s impossible to will such a condition away. Like other disorders, such as diabetes, cancer, or osteoarthritis, it is little more than an unfortunate health outcome. If you are mentally ill, it’s not your fault. It is a chronic and progressive condition that will not go away. While wee can treat and manage it, it’s not yet possible to “cure” these disorders, though many people with mental illness reports unexplained spontaneous remissions. Unless you’re one of the lucky few who get spontaneously better, you’ll likely need treatment for the rest of your life. Mental health solutions provided by Three Seas in Melbourne makes treatment as easy and unobtrusive as possible. It’s likely that these factors work together to produce it. A person with a genetic vulnerability to psychological illness might only become mentally ill in the right environment. At Three Seas, we work to help you create and sustain an environment to reduce its severity. Your emotions affect the health of your brain, and research shows that brain health is a key predictor of long-term wellness. If you want a long life, one of the best things you can do is find ways to be happier. Sound emotional health also reduces your risk of a host of life-altering conditions, such as Alzheimer’s and aphasia which limits the ability to speak. If you’re ready to start 2016 off with the best mental health of your life, follow these tips. Musical performance such as playing or learning an instrument or singing; research consistently shows that music challenges the brain in a way nothing else does. In movies and on television, strong people are always dumb. In real life, athleticism is correlated with higher intelligence and a happier outlook. Exercise can also effectively treat symptoms of depression and anxiety. Commit to getting at least 150 minutes of moderate physical activity each week, in addition to spending at least one hour per week on strength-building activities, such as lifting weights or yoga. Not only will you feel and look better; you’ll also help protect your brain against depression, anxiety, and a host of degenerative conditions. A pet is a big responsibility, and we would never encourage someone to get a pet who was not ready. But if you have been thinking about a pet for a while, consider making 2016 the year you finally take the plunge. The simple act of stroking a pet has been shown to lower blood pressure and stress-related hormones. Pets also give you a strong incentive to get moving, get out, and meet new people. For some people, caring for another being can be a profound act that reduces depression and increases a sense of well-being and purpose. Just make sure you’re prepared to care for the animal for the entirety of his or her life. And if you have the opportunity, consider adopting a rescued animal rather than buying from a breeder, since saving an animal’s life can sweeten the act of pet ownership even further. You only get one body and one brain, and you can’t count on them caring for you if you don’t care for them! Take care of yourself by drinking plenty of water, eating a healthy diet, and saying no when you need to. Equally important, set aside some time to do things that make you happy. In our fast-paced society, it’s easy to trivialise the value of fun and relaxation, but people who care for themselves by tending to their needs, even if the need is to colour, paint, or watch a favourite move, consistently proves to be happier and healthier. In our busy, demanding world, it’s tempting to come home after a long day of work, plop down on the couch, and spend the rest of the evening vegging in front of the television. That which is easy, though, is rarely best for our mental health. Rather than isolating yourself, try getting up, getting out, and spending time with people. Commit to at least one social activity per week, and you may be surprised to see your energy surge. 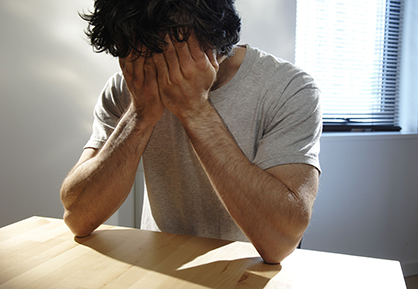 Almost half of the population experience some form of psychological issues during their life. The most common types of mental illness in Australians are anxiety and depression, and they are often found in combination. There are many different treatment options for these psychological conditions, including psychological therapy, mindfulness, medical (drug) treatment and lifestyle changes. Often, people suffering with it will suffer in silence. It can be incredibly isolating and unfortunately this lack of contact often compounds the problem. Counselling with a professional psychologist is an excellent way to uncover what has caused the illness and make a plan for the future. Every year, one in five Australians struggle with mental illness, making it the third-leading cause of disability in the country. If you’re facing psychological issues, you’re certainly not alone, although it can be a profoundly isolating experience. Three Seas Counselling can help get you back on track, give you the tools and skills you need to combat your illness and offer you hope for a happy, normal life. Call today to make an appointment with A Three Seas psychologist to discuss our available mental health services and treatment options.